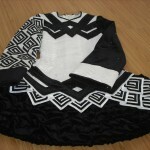 This dress was made for the All Irelands in February 2011 and has only been worn 3 times. 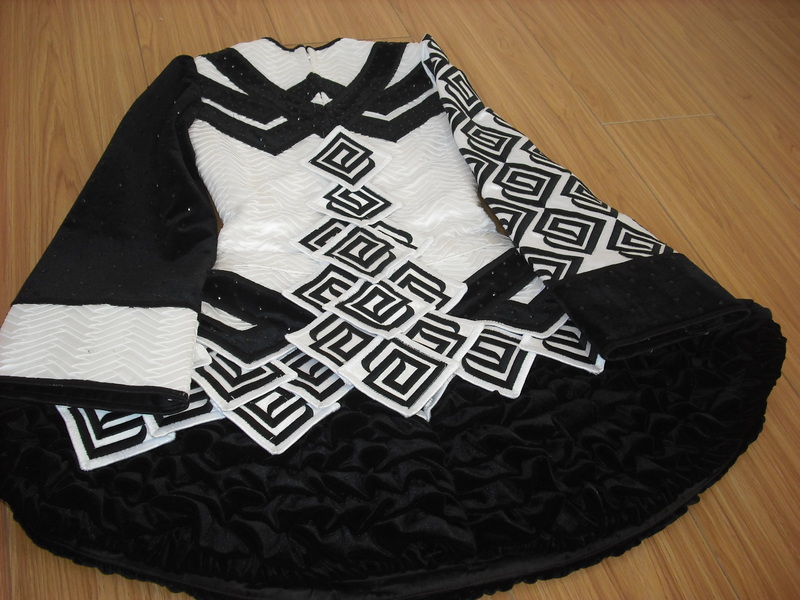 Dress is made from black velvet and white pleated satin. 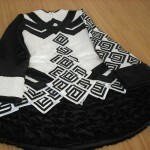 There is jet swarovski crystals on the Black velvet. 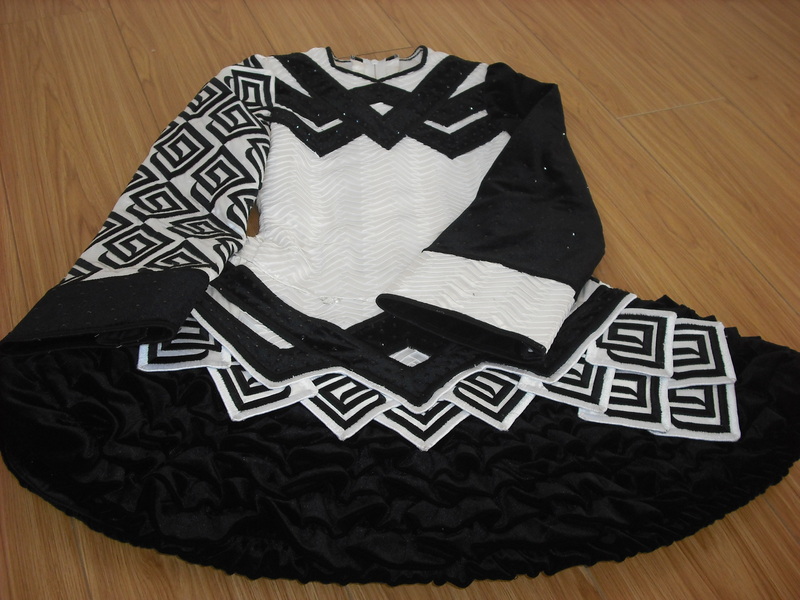 The dress comes with 2 hairbands and bloomers to match. Asking Price: Â£850. Shipping costs are included for my own country, overseas shipping is extra. Sale is final.